Striking a balance between art and design, Jeremy Cole’s distinctive style arises from an aesthetic exploration around the relationship between ceramics and light. An ode to nature and craftsmanship, the Flax Seed is the newest addition in Jeremy Cole’s ever-growing collection. 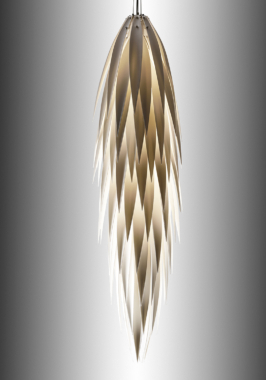 Sleek in form, the cascading light captures the glowing light elegantly.